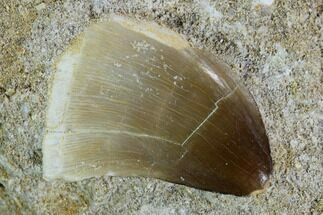 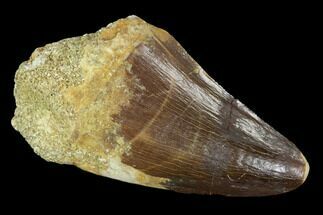 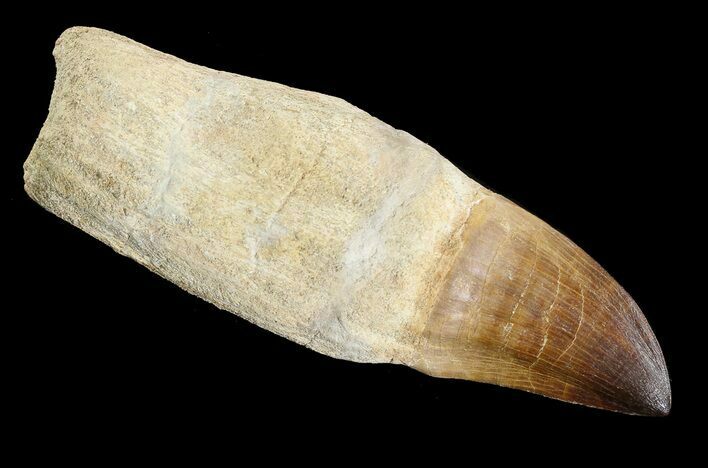 This is a rooted tooth of the Mosasaur, Prognathodon from the Upper Cretaceous phosphate deposits near Khourigba, Morocco. 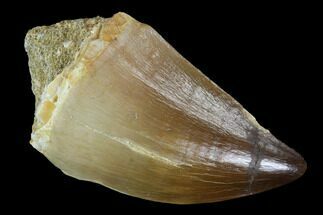 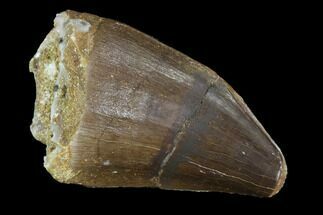 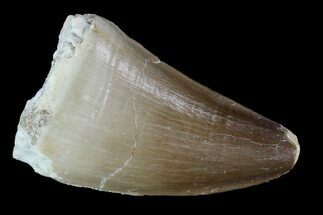 Real rooted Mosasaur teeth are not common finds, and nearly all of the "rooted" teeth you see for sale have fake roots. 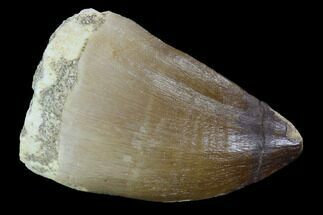 This tooth is a 5.1" in length with the crown being about 1.9" long. 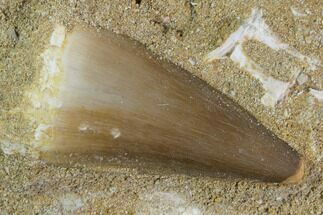 There are two repaired cracks in the root, with a small amount of gap fill restoration in the cracks. 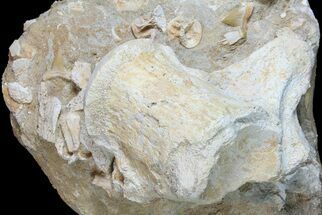 These fossils are collected as a byproduct of the massive phosphate mining operations in the area. 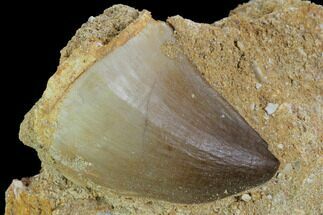 Locals collected the teeth from the mines, saving them from certain destruction by rock crusher.